Well, I was pleased with just being resilient out there. It wasn’t pretty, but we got it done, especially in this type of environment. I felt we got great contributions from a lot of different people. Diana is our staple. 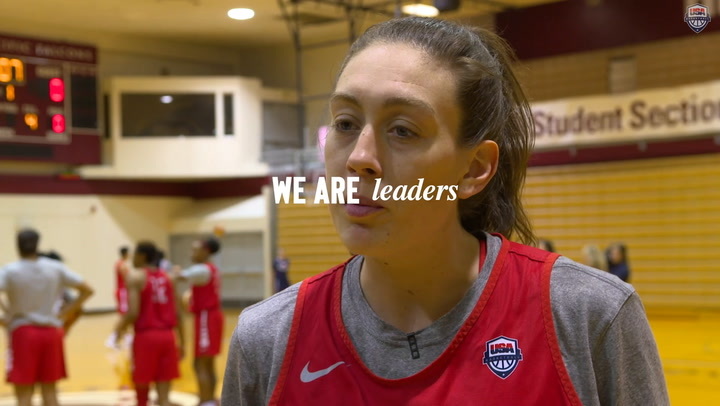 We got great contributions, especially at the end, from Tina Charles and Brittney Griner. But, we grinded out a win, which we needed. Four years ago, we were in the opposite position, so we were glad to get through this tournament undefeated. How difficult will it be for the committee to narrow down the team? Very, very difficult. We have a good group, and we are gaining momentum and it’s unfortunate that three of them will not be moving on with us. But, as the same time, we have to put a team together that can compete for and win gold. I think everyone knows that. I think throughout the entire process, we’ve been very transparent with all of the players that are here. So, they made a commitment to come knowing that three of them were not going to be with us. But, they certainly helped us. They certainly gave themselves a chance to be seen by the committee and got closer to hopefully their goal of being a part of a World Cup team. Players will be arriving as well. How difficult is it to not get your team until a few days before you first game? It is what it is. We knew it. When you know ahead of time, you prep for it. Fortunately for us, we had a few players fill in and fill in nicely. But, it will be good to add three Olympians to the fold. They will add instant experience. They will add another punch for us and create more depth and what we need going into a world championship. 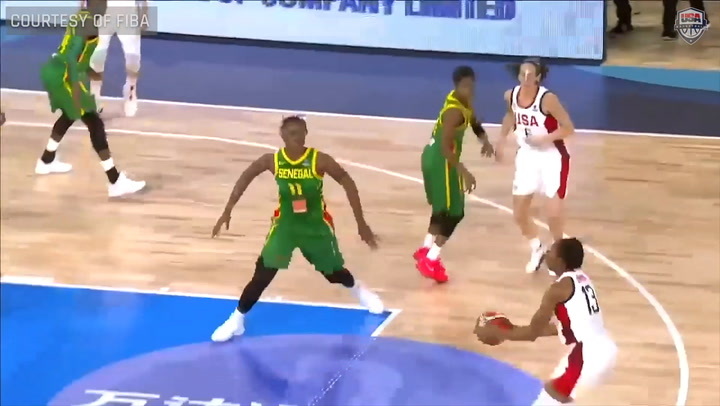 What do you think was the difference in the fourth quarter when the USA pulled away? Just getting on the defensive rebounds, limiting turnovers and just executing our plays on the offensive end. That’s really what sealed the game. Do you think the USA struggled in the first three quarters, or would you credit France? 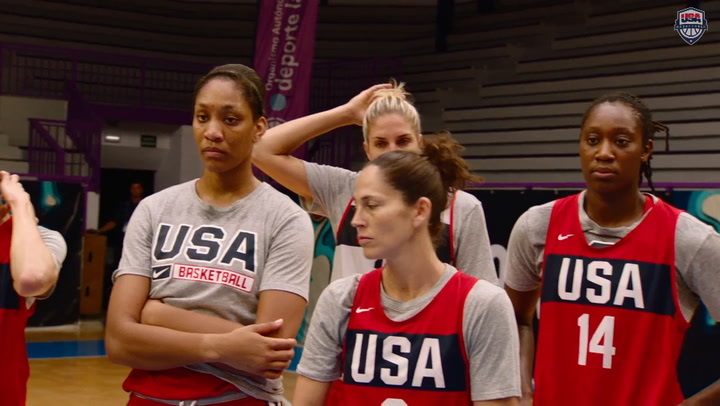 I think anything that happens with us, as far as USA Basketball goes, is just on us. I don’t think it is anything they did specifically. We needed to handle pressure better, needed to get open on the wings, not being careless with the ball, things like that are really important. How does a closer game such as this help you? It definitely helps us to prepare. We don’t take anyone for granted. We are really looking forward to the World Cup, and these past games and the training camp has really helped us. It was a good game, playing France here in France. We knew it was going to be a tough game. Towards the end, we started to pull away. It helps us tremendously. When we get to Spain, it is just going to go up from here. We have a scrimmage with Australia, and that definitely will get us even more ready. It’s never easy playing three games in three nights. But, I think we got a little bit better in every game. I think we found ourselves, both defense and offense, getting a little bit more chemistry, getting all on the same page. Tonight was tough. Whenever you play France, you know it is going to be hard fought. It’s going to be physical. Today we did a pretty good job in spurts of handling that and working it to our advantage. Did you think you executed the game plan? I think so. There were some mishaps on defense that we need to clean up. But, I think with a little bit more time, a couple more sessions, those things can get cleaned up. For the most part, we did pretty well. I told them after the game that they should be proud of what they did. To sacrifice your time and your effort, it takes a lot of commitment. Whether you make the team or don’t make the team, that shows what kind of person you are, what kind of character you have. And with USA Basketball, you never know. The more these kids stick with it, they’ll find themselves with more great opportunities down the road.